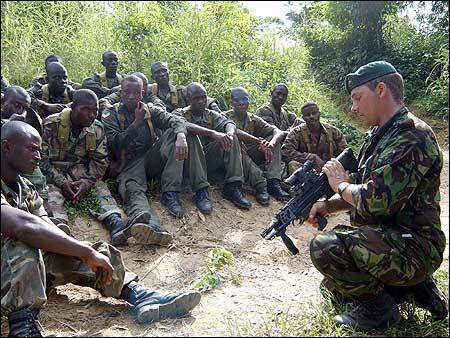 l´armée ghanéene achete 4 Spartans pour un prix fort! Hauptstadt: Accra mit ca. 1 Mio. des Landes wurde ab 7. Januar 2001 John Agyekum Kufour (geb. 1938). Verteidigungsminister ist Dr. Kwame Addo Kufuor. aus Senegal, Uganda, Malawi, Mali und Äthiopien teil. Kampf gegen Schmuggler und Drogenhändler eingesetzt. Ces gifs animés proviennent du mangas "Les chevaliers du zodiaques: the lost canvas". 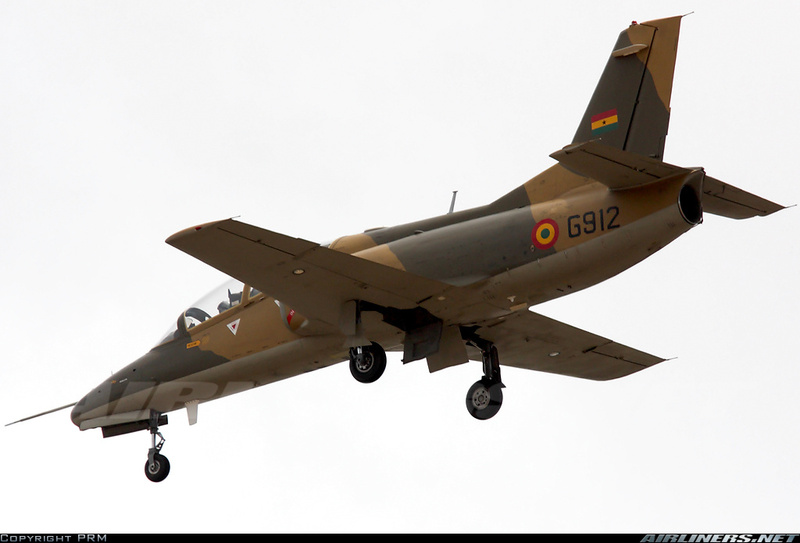 The Brazilian Government will provide Ghana with a credit facility to acquire a transporter jet for the Ghanaian Air Force. The air force will be able to increase its operational efficiency with the acquisition of the 90-seater ERJI90 aircraft from Brazil's Embraer. It will also enable the air force to reduce dependence on the UN for hiring jets to move troops. Ghanaian Vice-President John Dramani Mahama was quoted by Peace FM Online as saying that the final agreement for the purchase was subject to parliamentary approval. 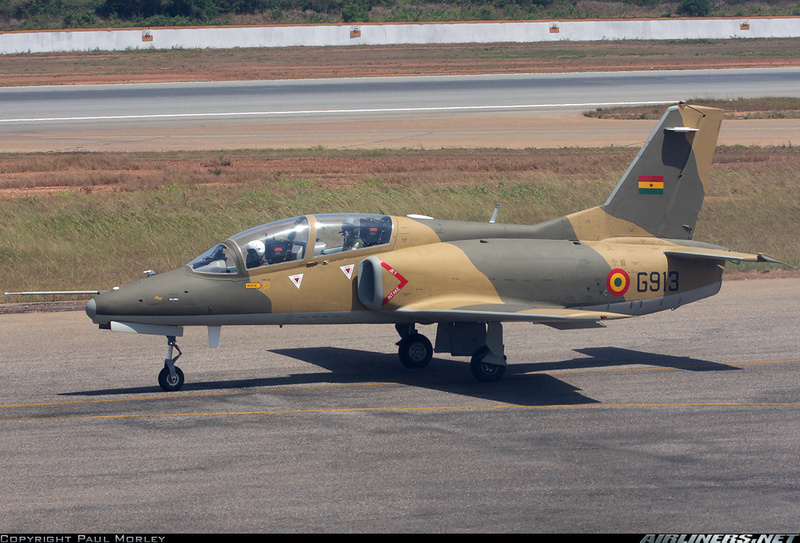 The Ghanaian Air Force sent a technical team to Embraer to sort out details of the aircraft. Mahama has requested that Embraer sets up a mechanised facility in Ghana to help maintain the aircraft used by the Ghanaian armed forces. The Ghanaian Air Force (GAF) will soon take delivery of Falcon 900EX aircraft to boost the air force's existing fleet. 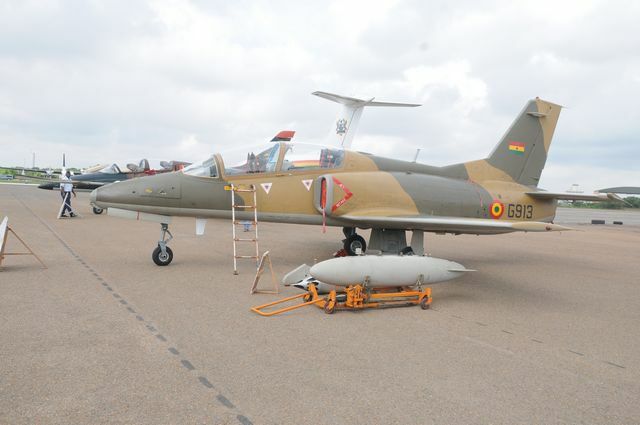 Chief of air staff Air Vice Marshall Michael Samsom-Oje told the Ghana News Agency that the aircraft would be delivered with a package of infrastructural support including hangars and ground support equipment. The air force will prepare its bases to take delivery of the new platform, while training of crews including pilots, engineers, suppliers and flight attendants will soon operate the Falcon. 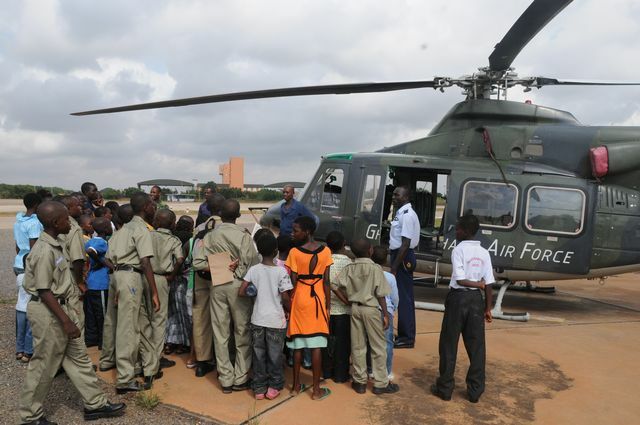 Samsom-Oje said that the first batch of pilots had departed for the Falcon ground and simulator training, according to the Ghana News Agency. 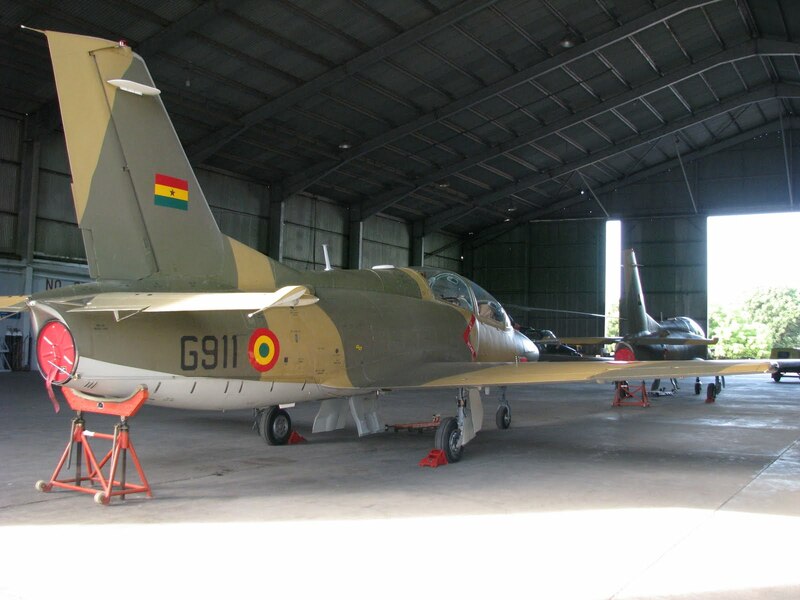 Ghanaian Vice-President John Dramani Mahama said the country's air force would acquire eight new aircraft in 2011. The air force will take the delivery of an Embraer 190 jet, financed by the government of Brazil, to improve its strategic lift capacity to move troops. The air force will also acquire one 50-seater troop transport plane, two light aircraft and four helicopters. The Ghanaian Air Force has already taken delivery of a 16-seater Falcon 900 EX EASY jet for the transportation of the country's president. Manufactured by Dassault Aviation of France and valued at $37m, the new Falcon 900 will replace the 35-year-old Fokker 28 presidential jet, according to africanmanager.com. La marine allemande a transféré au Ghana, le 28 février, deux de ses anciens patrouilleurs lance-missiles du type 143 B. Il s'agit de l'ex-Albatros, rebaptisé Naa Gbewaa, et de l'ex-Bussard, renommé Yaa Asanthwa. Longs de 57 mètres pour un déplacement lège de 300 tonnes, ces bâtiments, conçus pour atteindre une vitesse de 38 nœuds, font partie d'une série de 10 patrouilleurs désarmés dans la marine allemande en 2004 et 2005. A l'époque, ils mettaient en œuvre quatre missiles antinavire Exocet MM38 et une tourelle de 76mm. Six d'entre eux avaient été transférés à la Turquie en 2005. On notera que les ex-Albatros et ex-Bussard ont été livrés sans armement. Pour mémoire, le Ghana a récupéré, entre septembre 2010 et janvier 2011, quatre anciens patrouilleurs sud-coréens de 33 mètres du type Sea Dolphin. La Chine doit également transférer à ce pays africain, d'ici 2012, quatre bâtiments de 46 mètres. 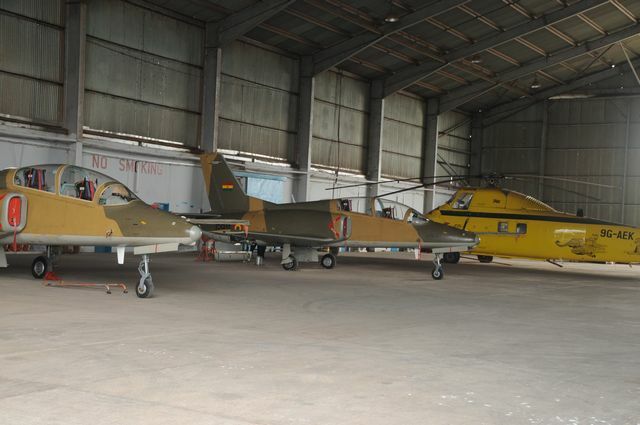 The decision by the National Democratic Congress government to acquire five new aircraft for Ghana's armed forces at a cost of $102 million has been debated in Parliament. Both Parliament's majority and minority factions were involved in the discussions, The Ghanaian Chronicle reported Friday. The proposed purchase includes a Brazilian-made Embraer E 190 jet with hangar facilities, two Italian-built Breda BA 42 Guardian Surveillance jets and another two CT95 aircraft. 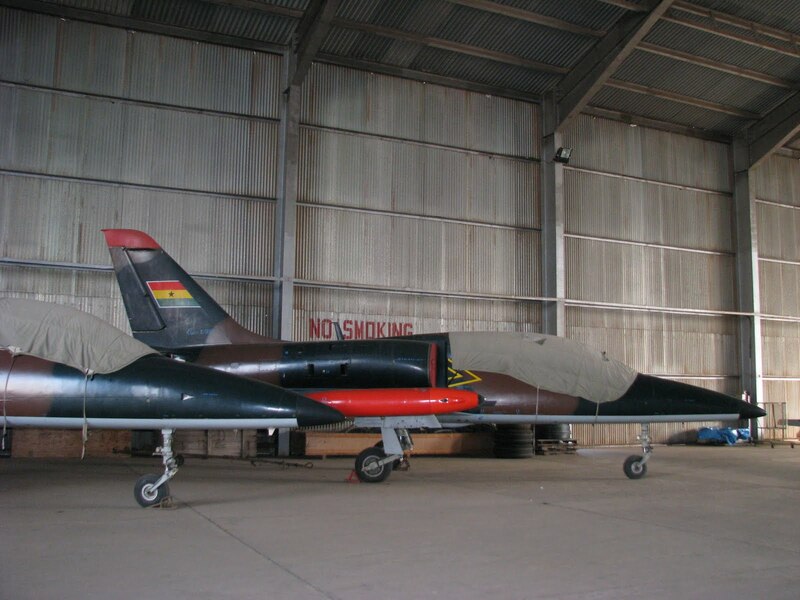 Parliament's Minority Leader Osei Kyei-Mensah-Bonsu accused the government of hypocrisy and corruption in the purchase of the military jets and claimed he "smelled a rat" in the purchases. The minority abstained from the voting, which approved the purchase of the Embraer E 190 jet. The Embraer E 190, which has a passenger capacity of 100, will be used to carry military personnel on peacekeeping missions and its proposed hangar facilities include an ambulance and a bus. 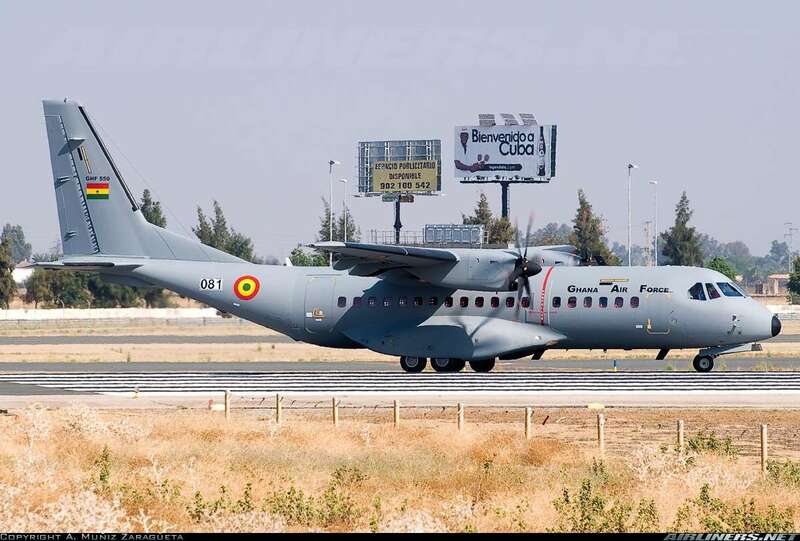 The Ministry of Defence of the Republic of Ghana has signed a contract with Airbus Military for the acquisition of two C295 aircraft. 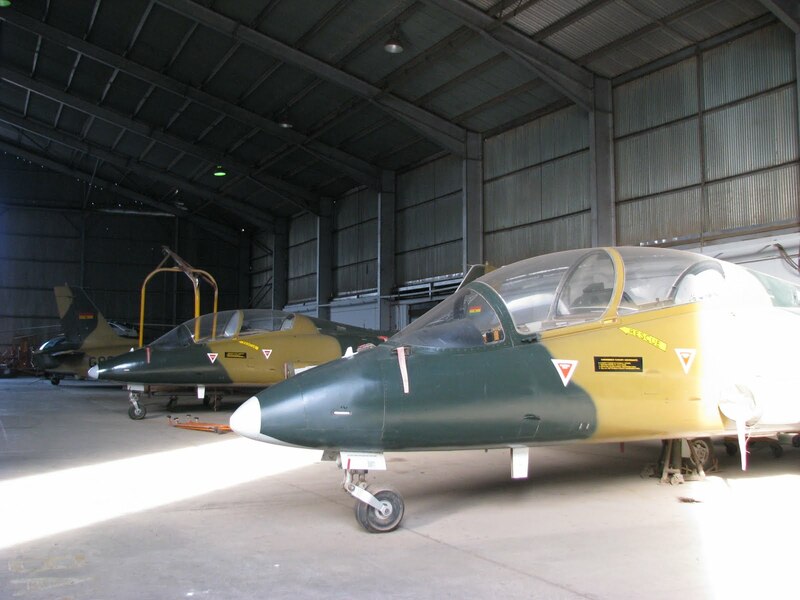 The aircraft are to be delivered from the beginning of 2012. His Excellency Minister of Defence Lt Gen. JH Smith, said the C295 will enable the Air Force to move troops and other security agencies across the country and within the West African sub-region. 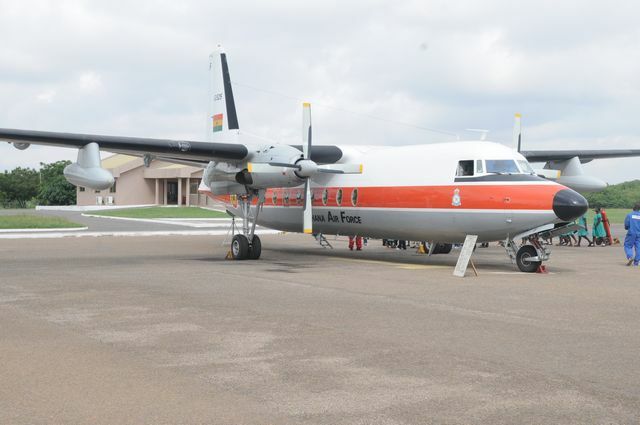 The aircraft will also be used for medical evacuation, paratrooping, training and humanitarian operations including assistance to organizations such as National Disaster Management Organisation (NADMO) and the peace mission of the United Nations. 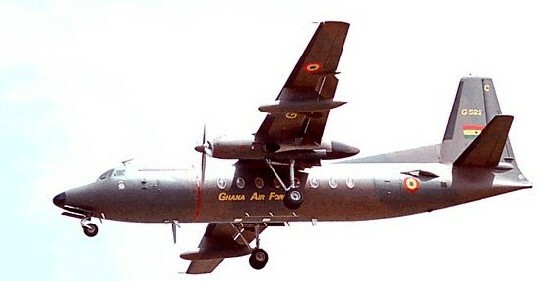 The Ministry of Defence of the Republic of Ghana selected the C295 because of its ease of maintenance and proven operational capabilities in any environment, including desert areas. Furthermore, its versatility and adaptability to the most varied type of conditions and operations were other key elements in the selection of the Airbus Military C295. 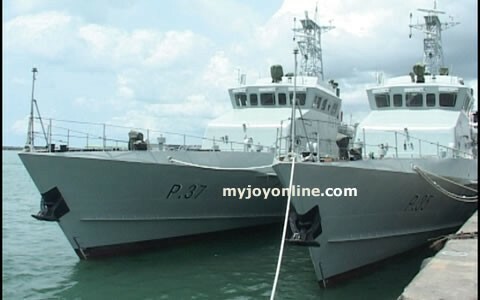 As part of measures to re-tool the Ghana Armed Forces (GAF), the Ghana Navy is to receive two patrol boats from China by the end of the year. The 46-meter naval patrol boats, which have been christened Chemle and Ehoo, are being built by Poly Technologies Incorporated (PTI) of China at Quigdao Shipyard. 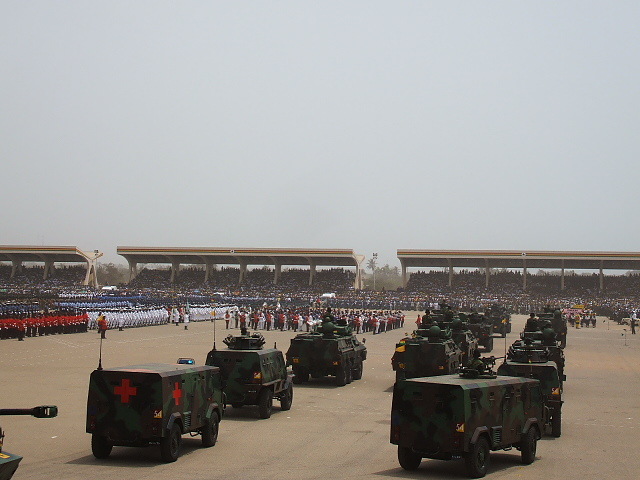 A statement issued in Accra on Wednesday by the Public Relations Directorate of the GAF said Defence Minister Lieutenant General John H. Smith commissioned the vessels during a visit to Beijing, China, in June this year. The statement said the Minister expressed appreciation on the behalf of the Ghana Government and the GAF to the People’s Republic of China and the PTI for their assistance and support to the Armed Forces. It said the Minister commended the PTI Shipyard workers and urged them to ensure that the vessels were delivered on schedule. As part of the Minister’s visit to Beijing, he launched the new offices of the Ghana Defence Adviser in China donated by the PTI. He was accompanied by his wife and several high ranking naval officers. In September 2008 Ghana signed a US$39.86 million contract with Poly Technologies Incorporated (PTI) for the two vessels. Construction began at China’s Quigdao Shipyard in May 2009 after PTI received an initial US$8.48 million payment. The boats, named Chemle and Ehoo, were launched on April 1 this year and commissioned during a visit to Beijing by Smith in June. 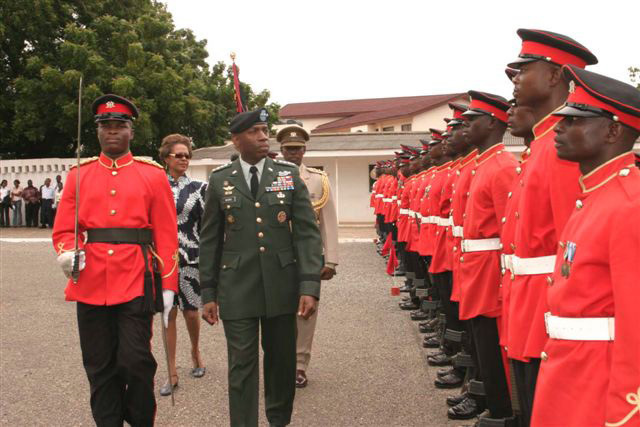 Smith said he appreciated the assistance of the Chinese government and PTI in supporting Ghana’s armed forces. The two vessels are being funded by Ghana’s Ministry of Food and Agriculture whose minister, Kwesi Ahwoi, was quoted as saying that, "for the first time in our history, Ghana is acquiring patrol boats to be dedicated to fisheries surveillance in our waters, which would go a long way to enhance and ensure national fisheries governance." Both Ehoo and Chemle will carry 14.5 mm and 12.7 mm machine guns and will have a complement of 30 personnel. In July last year Jane’s reported that Ghana’s Navy plans to acquire ten new vessels over the next two years. 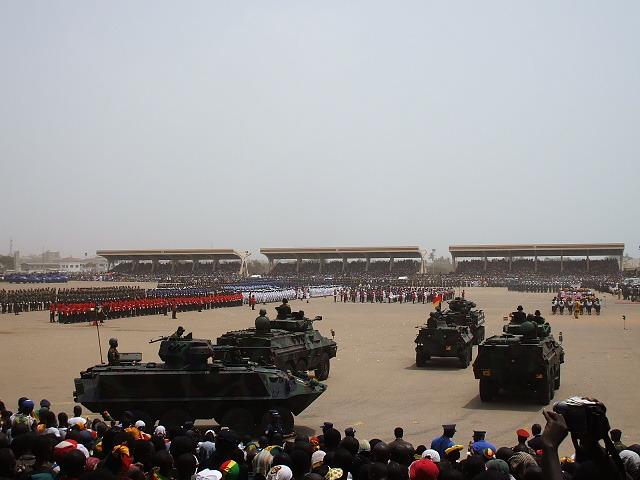 Ghana is also expanding its Naval Dockyard in the southwest of the country. 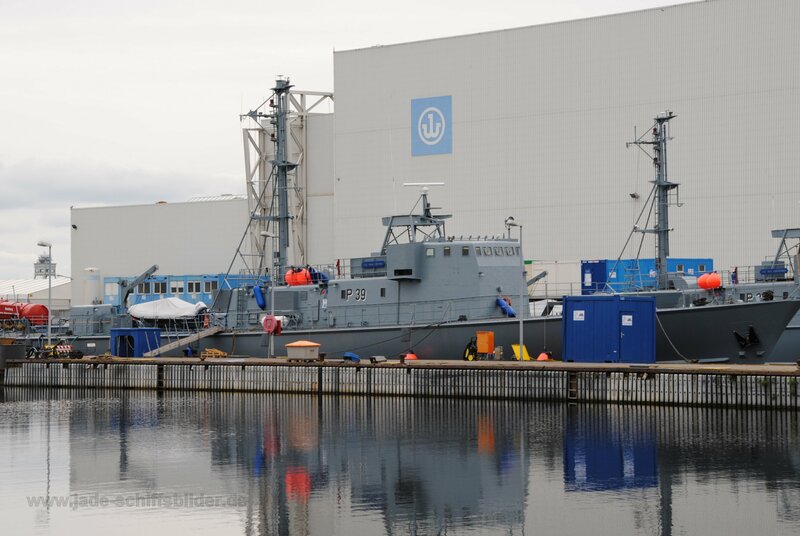 Poly Technologies is building another two 46 metre patrol vessels for Ghana under a separate contract. 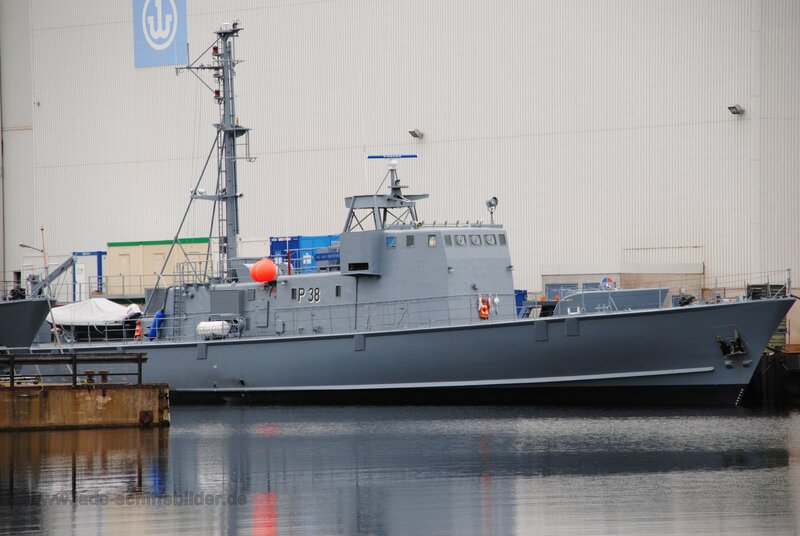 Janes believes Ghana has ordered two 62 metre patrol craft from South Korea for delivery by July 2013. On January 21, Ghana’s navy commissioned a refurbished Sea Dolphin-class fast-attack craft donated by South Korea. The vessel, GNS Stephen Otu, is being joined by two fast attack craft from Germany. 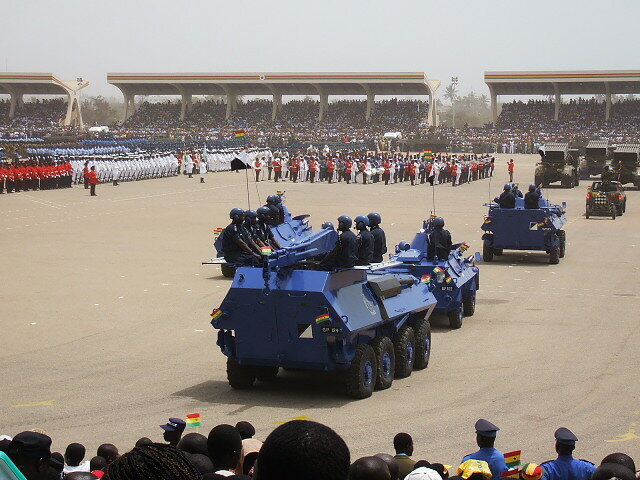 In 2008 the US government gave Ghana three ex-Coast Guard Defender class boats and another four in March last year and in December last year the Ghana Navy received six new speedboats. "We have constantly been reviewing our measures to safeguard our waters, most importantly to protect our oil installations,” Smith told Reuters last month. "We are aware of the increasing piracy attacks in our neighbourhood and we are very much prepared to face any such attacks." Piracy in the Gulf of Guinea is not on the scale of that off Somalia, but analysts say an increase in scope and number of attacks in a region ill-equipped to counter the threat could affect shipping and investment. For instance, Cameroon blamed piracy for part of a 13 percent drop in oil output in 2009. Other maritime problems include piracy and drug trafficking. The United Nations estimates that US$1 billion worth of cocaine, destined for Europe from Latin America, passed through West Africa in 2008. 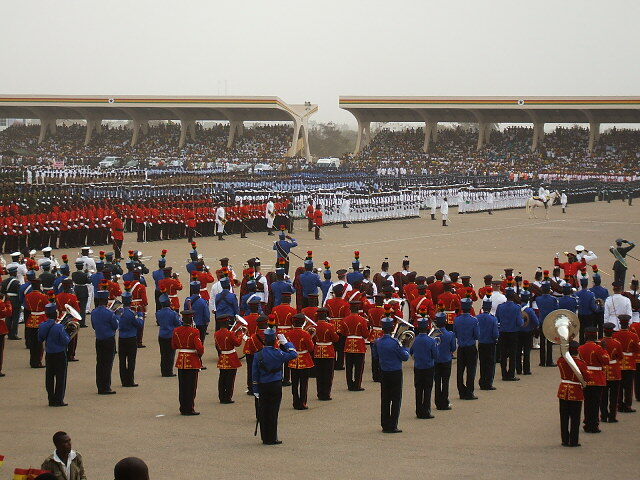 Ghana’s Navy is relatively small, with 2 000 personnel, according to the IISS’s 2011 The Military Balance. It operates two 1940s-era Balsam class vessels previously operated by the US Coast Guard, four fast attack craft built by Lurssen (two PB 45 Dzata class and two PB 57 Achimota class vessels) and a single PB Mk III inshore patrol boat that was transferred from the US Navy in 2001. 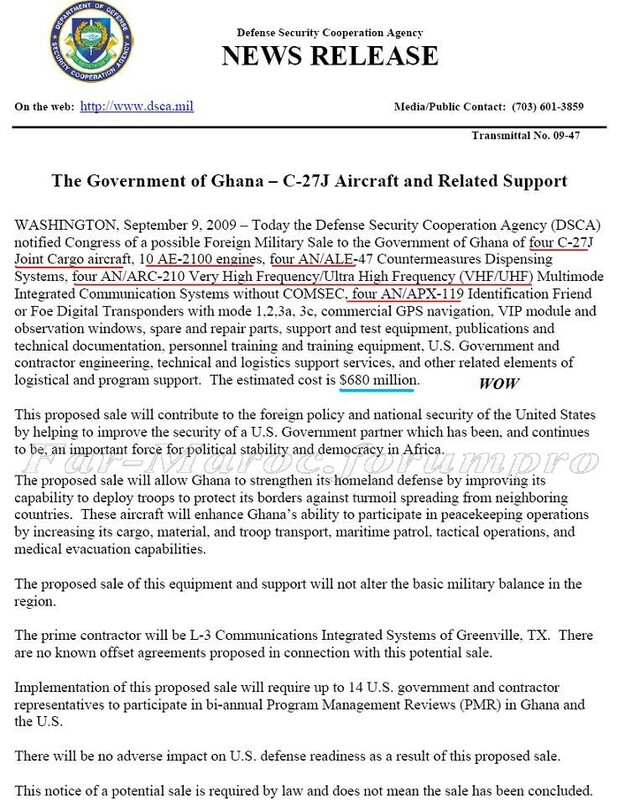 Ghana is also strengthening its air force and recently ordered two Airbus Military C295 transports, an Embraer 190 and two Diamond DA 42 surveillance aircraft which will presumably be used for maritime patrol, especially safeguarding Ghana’s offshore oil assets - the country becoming a major oil producer in the region after beginning production in December last year. The Minister for Food and Agriculture Kwesi Ahwoi says the Ghana Armed Forces may be forced to declare war on the country’s recalcitrant fishermen who have decided to fight naval personnel mandated to enforce fisheries regulations. The Minister was speaking at a ceremony to receive four fast patrol boats from China at the Takoradi Port. The ships, which bring the total number of the Navy’s fleet to 12, were acquired by the Government through the ministries of Defence and Food and Agriculture. The ships, namely GNS Garinga, GNS Blika, GNS Chemle and GNS Ewhor, were built in the Peoples Republic of China by the Poly Technologies Incorporated Group at Quianjin Shipyard. Construction started on June 17 2010, and was completed on September 20, 2011. Prior to the delivery of the fast attack crafts, officers and ratings of the Navy were given a one-month introductory training on the use of the equipment and machinery installed on the ships in China. Speaking at the reception ceremony, the Flag Officer Commanding the Western Naval Command, Commodore Timothy Appiah, said the ships will partly address the Navy’s ineffectiveness in protecting the country’s maritime domain. He expressed his appreciation to Government saying this was the first time in 31 years that the Navy had received new ships. The Minister of Defence, Lt. Gen. J.H. Smith said President Mills was committed to ensure the safety of the country’s territorial integrity and provide safe sea passage to legitimate traffic whilst combating illegal activities such as drug trafficking, pair trawling and recently piracy which is nearing the coast of West Africa. The Minister for Food and Agriculture, Mr. Kwesi Ahwoi sent a strong signal to fishermen who have been interfering with the work of the Navy in their quest to enforce the fisheries regulations. Following a recent clash between some fishermen and members of the Government Task Force in Sekondi over the seizure of generators meant for light fishing, the Minister cautioned that if such unwarranted attacks continue, the Ghana Armed Forces may declare war on the local fishermen adding that the new ships have sophisticated machinery for war at sea. He said the arrival of the ships is a fulfilment of another key promise by the Mills administration to strengthen the Navy to protect the country’s fisheries and oil resources. According to Mr. Ahwoi, Government was committed to protect the livelihood of the over two million fishermen across the country and not only the oil resources, hence the acquisition of the patrol boats. He reminded fishermen who witnessed the ceremony of their demonstration to the Castle few months ago, during which they asked President Mills to stop all forms of unorthodox fishing practices. He thus urged the naval personnel to work without fear or favour but ensure professionalism and integrity in their work. He also asked fishermen to be responsible by complying with the laws and report recalcitrant fishermen since the Navy, Airforce and Military alone, could not police the entire coastline of the country. Mr. Ju Feng, a Chinese Representative, expressed China’s appreciation to Ghana for the opportunity to assist in safeguarding its maritime territory. He said the ships were of high standard and superior quality. The Ships will later be towed to the Sekondi Naval Harbour where they will be activated and commissioned for use before the end of the year. 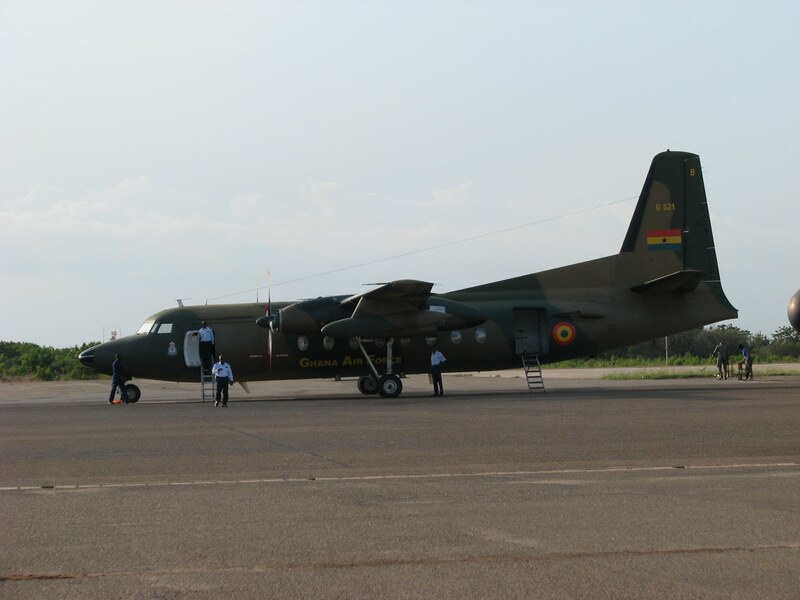 The Ghana Air Force has taken delivery of the first of two C295 aircraft that it ordered from Airbus Military. The second aircraft will be delivered in the first quarter of 2012. The aircraft is qualified for the transport of troops, paratroops, medical evacuation, and both palletized and bulk loads, for which it is equipped with a palletized loading system. 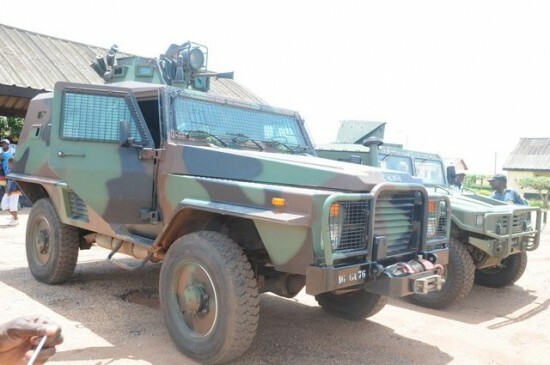 It will be primarily used for domestic transport and will also play an important role in humanitarian relief missions. 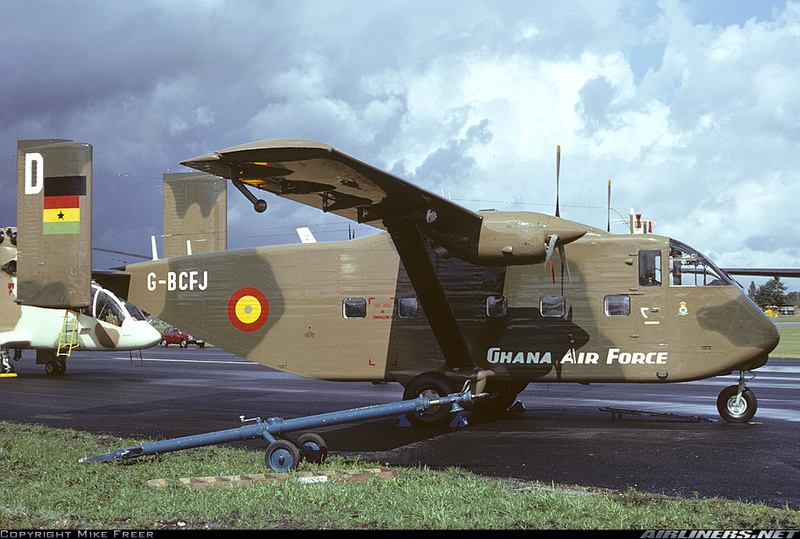 Its short take-off and landing (STOL) and rough-field capabilities will provide the Ghana Air Force with access to remote locations that were not accessible previously. 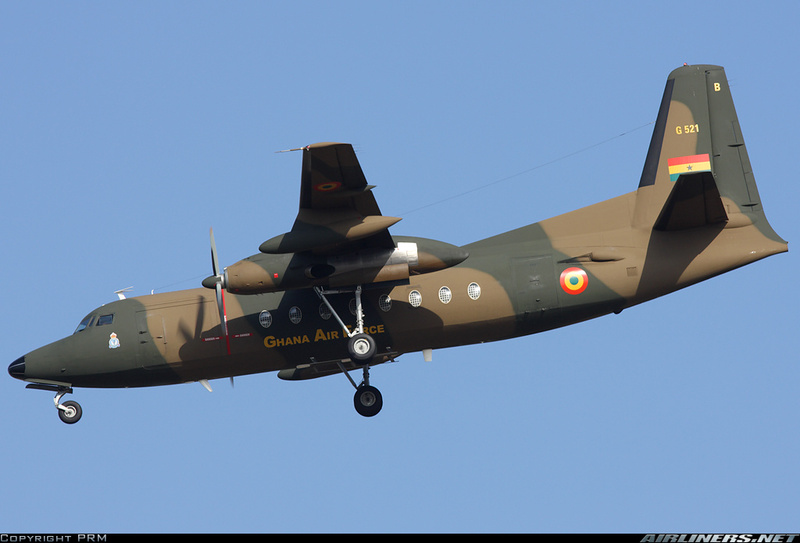 “We are very proud to add the Ghana Air Force to our family of C295 operators. The C295, which has proven the best solution for medium sized transport, will allow missions in remote and difficult to access areas. 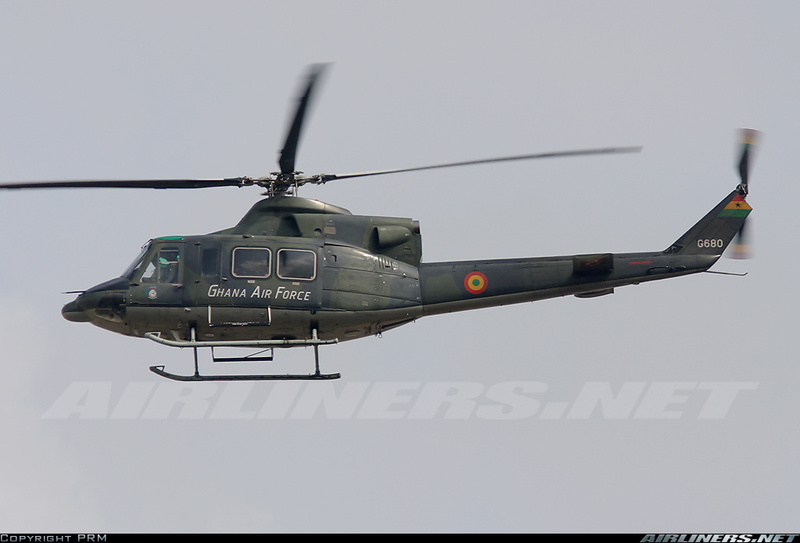 We look forward to the entry into service of this versatile aircraft in the Ghana Air Force”, said Airbus Military Head of Programmes, Rafael Tentor. 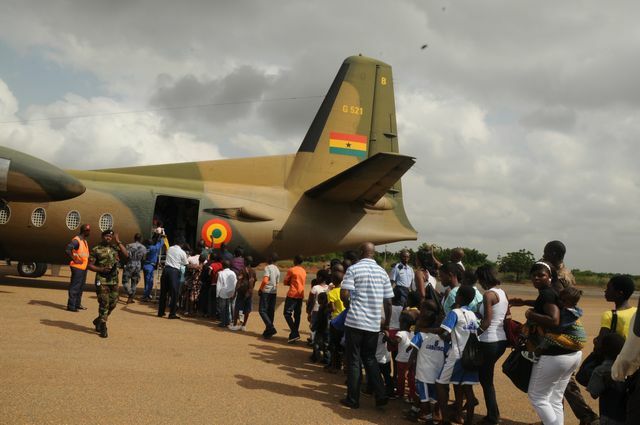 This C295 is the first Airbus Military product that the Ghana Air Force will operate. To date, Airbus Military has sold 85 C295 to 14 different operators. 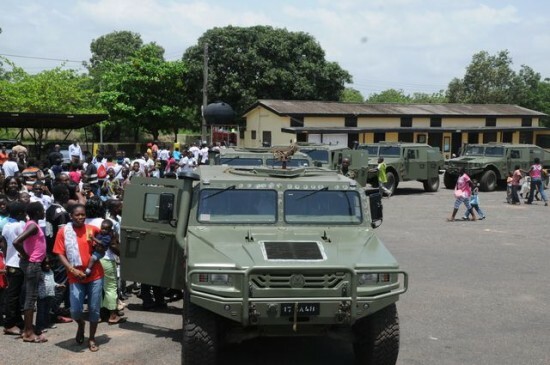 Sekondi, Feb. 20, GNA – President John Evans Atta Mills has commissioned four fast patrol ships ordered from China by the Ministry of Defence and the Ministry of Food and Agriculture (MOFA) at the Western Naval Command at Sekondi. The ships are GNS Blika, GNS Garinga, GNS Chemle and GNS Enwor. President Mills said the Ministry of Transport, the Ghana Maritime Authority and the Ministry of Defence are establishing a Vessel Traffic Monitoring and Information System (VTMIS) along the entire coast of the country. He said the system would include coastal radar stations with command and control centers that would enhance the ability to maintain effective surveillance over the waters. “When this is fully established and the system is complemented with naval ships and maritime patrol aircraft, we should be able to improve the operational control of our maritime domain adding that the country would soon take delivery of two newly refurbished Ex-German Navy Fast Aircraft currently undergoing refitting in Germany ”, he said. President Mills said the Slipway Rehabilitation Project carried out by Messrs Damen of Netherlands and the MTU Test Bench Project by MTU of German would be completed and commissioned. He said these projects would enable the Navy carry out routine docking and periodic refitting locally to save the millions of foreign exchange that would be spent when such works are done abroad. President Mills said the same facilities would be used to support local fishing vessels and other vessels engaged in the oil and gas industry. He said, “The investment in re-equipping the Navy and other security agencies should be viewed as a means of sustaining the atmosphere of peace and security needed for the development of other sectors”. Lieutenant General Joseph Henry Smith (rtd), Minister of Defence, said two of the ships were acquired by the Ministry of Food and Agriculture for the exclusive use in enforcing the fisheries regulations and laws at sea. He commended the MOFA for the extensive collaborative efforts with the Ministry of Defence to ensure law and order at sea. Rear Admiral Matthew Quashie, Chief of Naval Staff, said the Ghana Navy has not commissioned new ships for the past 32 years. He said the ships have been named after venomous snakes in the Ga-Adangbe, Dagbon, Ahanta and Ewe dialects and that the navy is now in a more better position to protect marine resources including oil and gas facilities. Mr Kwesi Ahwoi, Minister of Food and Agriculture, said the construction of 14 landing beaches in various parts of the country with the Chinese loan would begin this year. 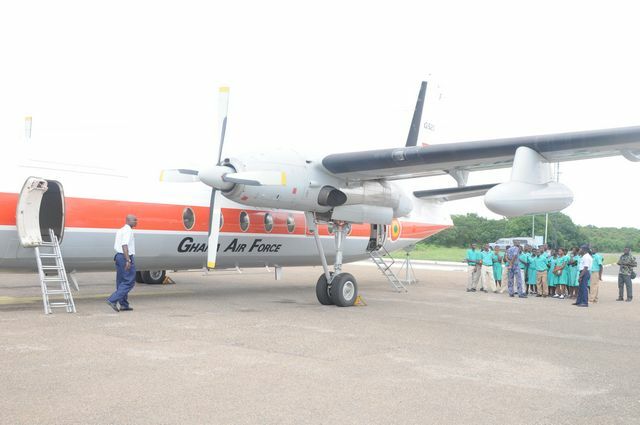 The Ghana Air Force (GAF) has received its second CASA C-295 transport aircraft as a part of government efforts to re-equip the nation's armed forces. The first aircraft was commissioned into service immediately following its delivery last year from Airbus Military. Powered by two Pratt & Whitney PW127G turboprop engines, the C-295 is a twin-turboprop tactical military transport aircraft designed to conduct tactical airlift, search and rescue (SAR) and maritime patrol and environmental surveillance missions. 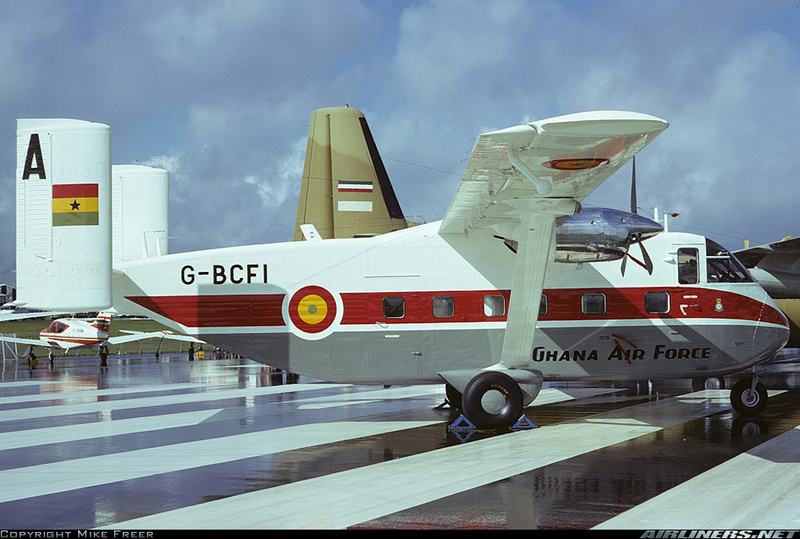 The short take-off and landing (STOL) and rough-field capabilities of the aircraft will help the GAF to enter previously inaccessible West African sub-regions. The C-295 is a stretched derivative of the CN-235 transporter, with a characteristic high-wing and rear-loader design which allows for the easy loading of mission pallets. Built by Airbus Military, the C295 is capable of accommodating 71 troops, 50 paratroops or five standard cargo pallets. 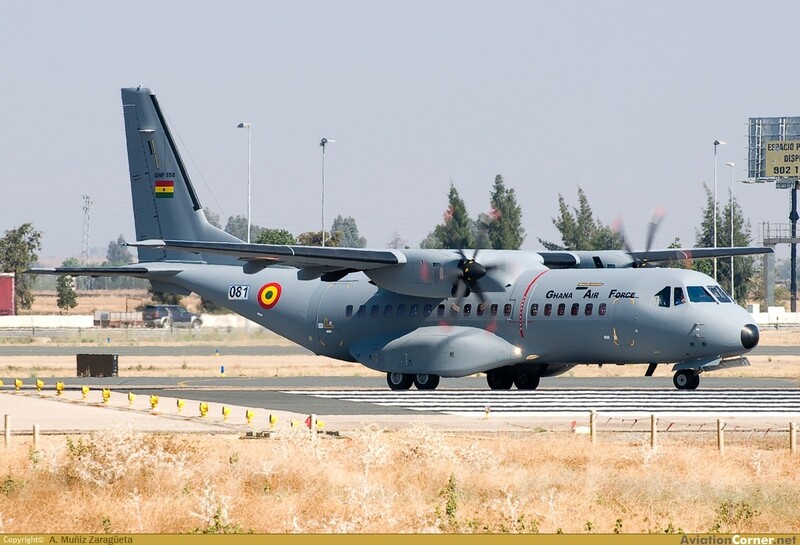 The Ghanaian parliament had previously approved loan agreements, following which Ghana's minister of defence signed a contract with Airbus Military for the acquisition of two C-295 aircraft. 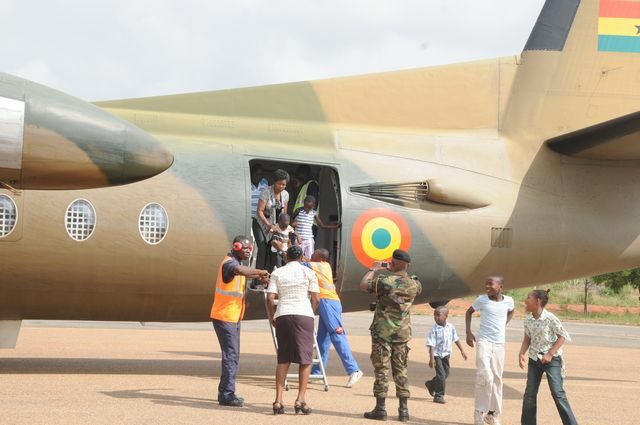 The move has come after the Ghanaian Air Force recommended an airlift capacity in its strategic plan for 2009 to 2012. The Air Force has ordered one Embraer E190 jet and a hangar, plus two Diamond DA42 MPP guardian surveillance aircraft. 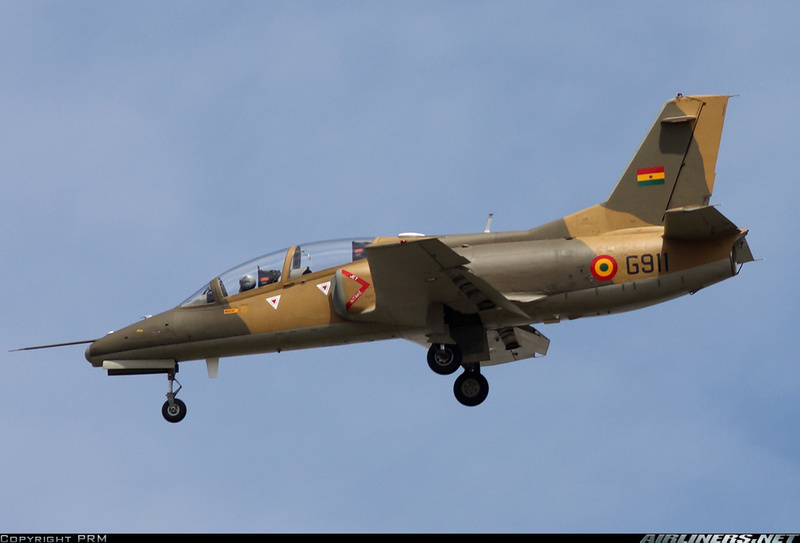 The GAF deployed three Diamond aircraft to Takoradi Air Force base, Ghana for surveillance missions. 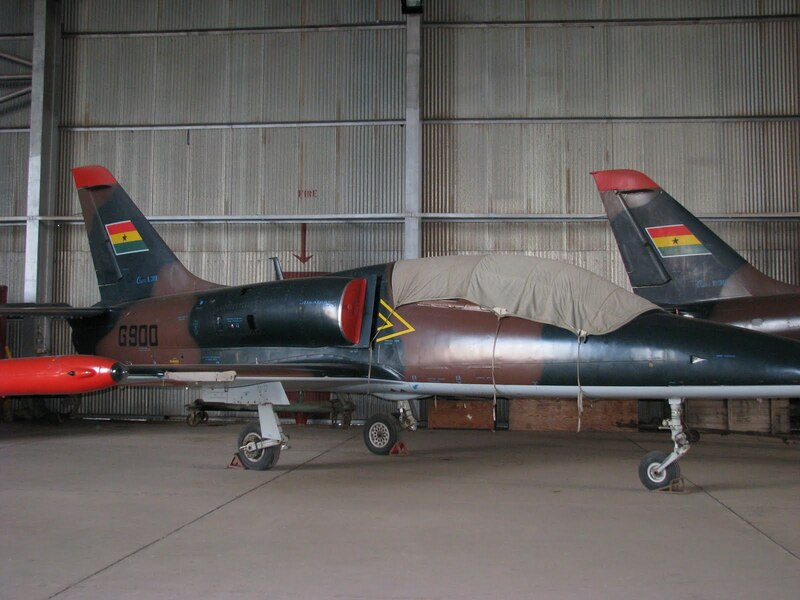 The aircraft has also been sold to customers and operators in Algeria, Brazil, Chile, Colombia, Egypt, Finland, Indonesia, Jordan, Poland, Portugal and Spain. Ghana is in the process of setting up a vessel traffic management and information system (VTMIS) to provide electronic monitoring of its entire coast in an effort to counter piracy and armed robbery at sea. In February last year the Ghana Maritime Authority signed a contract with Eltel Networks of Finland to supply and install the VTMIS. The system is being funded by BNP Paribas. Ghana’s parliament last year approved a 17.6 million euro credit facility for the VTMIS with BNP Paribas. The VTMIS consists of eight Remote Sensor Sites to be sited along the entire coast of Ghana from Keta to Half Assini; three Remote Base Stations (RBS) along the Volta Lake (for the inland waterways); three manned Area Control Centres (ACC) for the west, central and east sectors, and one National Control Centre (NCC). The latter will be located at Ghana Maritime Authority Headquarters in Accra. The Remote Sensor Sites will each have communication Towers and equipped with marine radars, Automatic Identification Systems (AIS) and CCTVs for detecting and identifying ships and boats. Marine communication radio equipment with MF/HF and VHF frequencies and in compliance with the International Maritime Organization(IMO) mandated Global Maritime Safety and Distress Systems (GMDSS) and Long Range Identification and Tracking (LRIT) requirements for receiving regular ship reports will also be installed. The Remote Sensor Sites will be equipped with meteorological and hydrological sensors to provide local weather data from the respective sites, which will be transferred to the Control Centres for broadcasting. All data from the Remote Sites will be transferred to the manned Control Centres where operators will have display screens depicting vessel traffic. In addition, there will be provision for ten Monitoring Stations (MS) for selected stakeholders to monitor vessel traffic. Such stakeholders include National Security, Fisheries Commission, Narcotics Control Board, Ghana Immigration Service, Customs Division of the Ghana Revenue Authority, Ghana Ports Harbours Authority, Regional Maritime University and others. Last Friday Ghana’s Deputy Minister of Transport, Dzifa A Attivor, said that the system would serve the maritime industry by gathering and sharing information, alerting those at sea to possible dangers. Attivor made reference to the system during the tenth meeting of the Board of Governors of the Regional Maritime University (RMU) in Accra, which was attended by its five member countries and chaired by Gambia. The VTMIS will also combat pollution, especially from vessels that illegally flush out their tanks at sea. Apart from monitoring activity at sea, the VTMIS is also equipped with sensors to provide information on weather conditions. 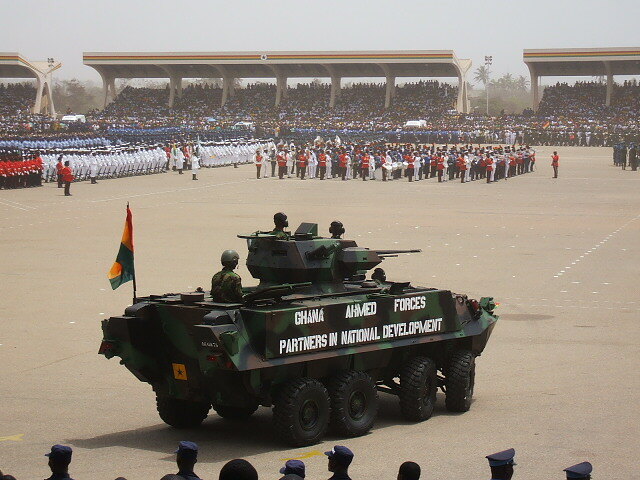 In February this year Ghana’s President John Atta Mills commissioned four new patrol boats for the Navy and said that, “In a similar collaborative effort, the Ministry of Transport, the Ghana Maritime Authority and the Ministry of Defence are establishing a Vessel Traffic Monitoring Information System (VTMIS) along the entire coast of Ghana,” which would include coastal radar stations with command and control centres. He said when that system was fully established it would be complemented with naval ships and maritime patrol aircraft. “We should be able to improve our operational control of our maritime domain,” he said. “The maritime domain of Ghana is a major natural resource as it abounds with fisheries, minerals, hydrocarbons, facilities for ports and harbours, recreational beaches and the water itself for salt and other uses,” said the Minister of Transport, Collins Dauda, last year. “Ghana is rapidly becoming a maritime trading hub for West and Central Africa. It has recently joined the group of oil producing countries and has a vibrant fishing and tourism industries which need to be protected hence the need for the installation and operation of the VTMIS”, he pointed out. Ghana has been reviewing measures to safeguard its waters, most importantly to protect our oil installations from pirate attacks. Piracy in the Gulf of Guinea is not on the scale of that off Somalia, but analysts say an increase in scope and number of attacks in a region ill-equipped to counter the threat could affect shipping and investment. 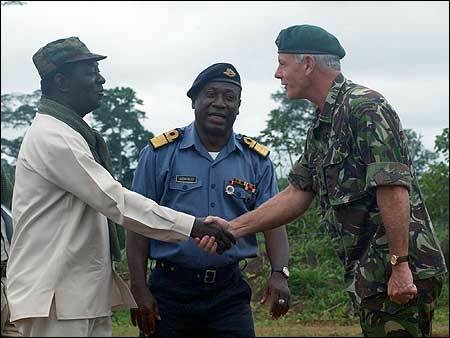 For instance, Cameroon blamed piracy for part of a 13 percent drop in oil output in 2009. 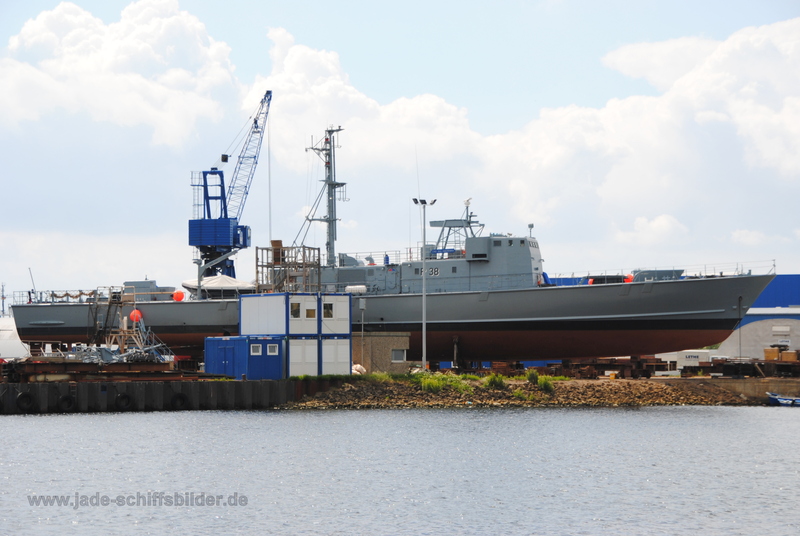 The Ghana Navy yesterday took delivery of two ex-German Navy fast attack craft, GNS Yaa Asantewaa and GNS Naa Gbewaa, at its Sekondi Naval Base. Rear Admiral Matthew Quashie, the Chief of Naval Staff who received the two vessels, said their crews spent 28 days sailing to France, Spain, Portugal, Senegal, Liberia and Ghana. 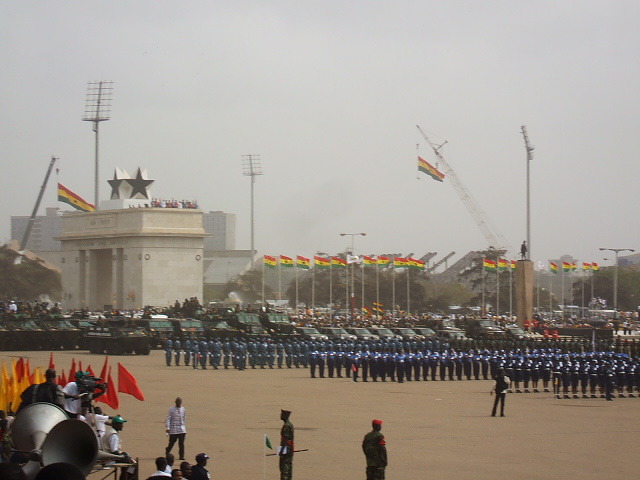 The Flag Officer Commanding, Western Naval Command, Commodore Timothy Samuel Appiah, said the crew (including 14 officers and 56 ratings) had spent three months of intensive training in Germany before their expedition to Ghana, reports the Ghana News Agency. The ships were handed over to the Navy during a ceremony held at Neue Tadewerft, Wilhelmshaven, Germany, early last month before sailing for their new home. Quashi said that he was grateful the late president John Atta Mills had sourced the vessels for the Navy, which would use the vessels to check internal and external aggression. 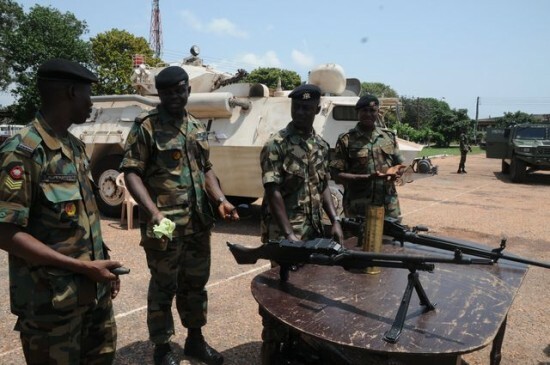 Ghana is paying attention to combating piracy and protecting its oil installations. The GNS Yaa Asantewaa and GNS Naa Gbewaa are Type 143A Gepard fast attack craft. In July 2010 Ghana announced the acquisition of the two decommissioned vessels, which are 58 metres long and weigh 398 tonnes. They were refurbished prior to being handed over. 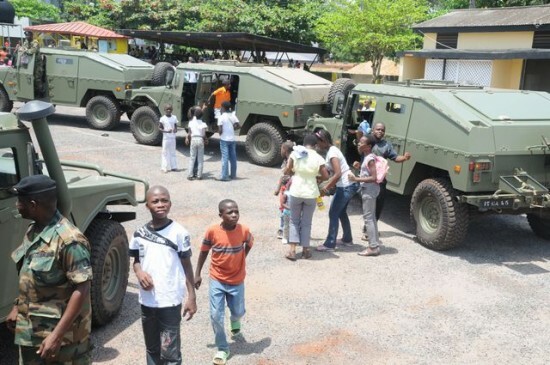 In a statement last month Lieutenant-Colonel E Aggrey-Quashie, Ghana Armed Forces Public Relations Directorate, said that the delivery of the fast attack craft brings the number of vessels acquired for the Ghana Navy to seven over the last three years. On February 21 Mills commissioned four new patrol ships for combating piracy and increasing maritime security in Ghana’s territorial waters (Blika [P34], Garinga [P35], Chemle [P36] and Ehwor [P37]). They were built by China’s China’s Poly Technologies Incorporated. Ghana needs to protect its maritime resources, police its waters and ensure security at sea from a variety of threats, including piracy, drug trafficking, arms smuggling, dumping of toxic waste, illegal bunkering, illegal fishing, and pair trawling. On January 21 last year the Ghana Navy commissioned GNS Stephen Otu (P33), a refurbished Sea Dolphin-class (PKM) fast attack craft donated by South Korea. In July last year Jane’s reported that Ghana’s Navy plans to acquire ten new vessels over the next two years and believes Ghana has ordered two 62 metre patrol craft from South Korea for delivery by July 2013. 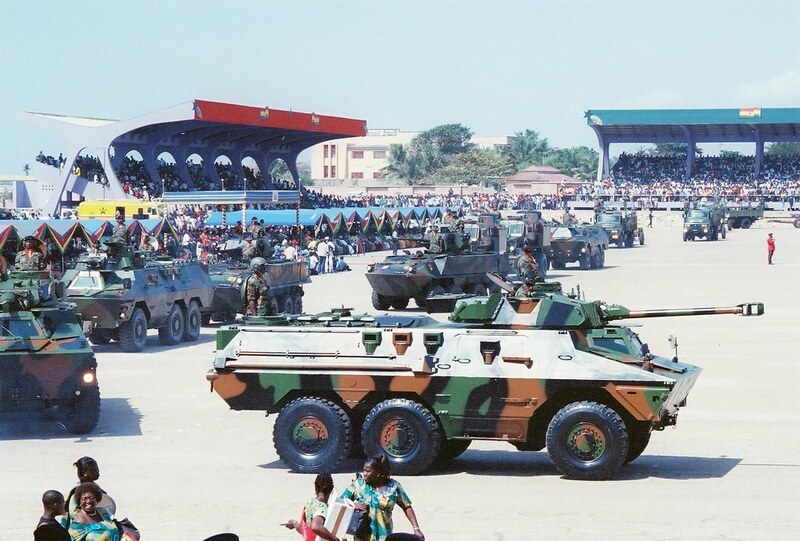 Ghana is also expanding its Naval Dockyard in the southwest of the country. Ghana has been reviewing measures to safeguard its waters, most importantly to protect our oil installations from pirate attacks. Piracy in the Gulf of Guinea is not on the scale of that off Somalia, but analysts say an increase in scope and number of attacks in a region ill-equipped to counter the threat could affect shipping and investment. In its efforts to secure its maritime domain, Ghana is in the process of setting up a vessel traffic management and information system (VTMIS) to provide electronic monitoring of its entire coast. This will include coastal radar stations with command and control centres. In February last year the Ghana Maritime Authority signed a contract with Eltel Networks of Finland to supply and install the VTMIS. 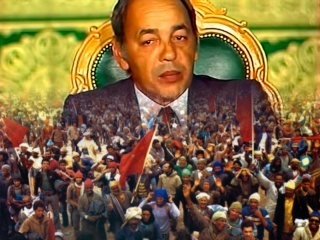 The system is being funded by BNP Paribas. Ghana’s parliament last year approved a 17.6 million euro credit facility for the VTMIS with BNP Paribas. L'agence russe d'exportation d'armements Rosoboronexport a signé en 2012 un contrat prévoyant la livraison de six hélicoptères Mi-17 au Ghana, a annoncé vendredi à RIA Novosti le directeur général adjoint de l'agence, Alexandre Mikheïev. "Notre coopération avec le Ghana se développe de façon dynamique. Cette année nous avons entamé la réalisation du contrat pour la livraison de six hélicoptères Mi-17 dans ce pays", a fait savoir M.Mikheïev lors d'un salon d'armements qui se déroule dans la capitale sud-africaine, Pretoria.